As your aging parents begin to settle into their final phase of life, their health, residence, and finances could become a factor in your retirement planning. This is especially true if you are the person your parents have tasked with settling their estates. There’s no simple way to tackle all the logistical and emotional challenges associated with caring for an aging parent. But these five steps will help you get the help you’ll need to make sure your parent is safe, cared for, and financially secure. No two families are the same, but in most cases, you’re going to want to gather together all siblings and close family members for an open and honest discussion. If your parent is dealing with a serious and potentially debilitating health issue, don’t sugar-coat the truth. Hiding the facts now will only lead to hurt feelings, resentment, and poor planning. Depending on the parent’s condition, you might consider dividing up a caregiving or visitation schedule. Even pitching in on small day-to-day tasks like helping mom or dad buy groceries can be a big help. If you’re contemplating a more serious decision, like assisted living, make sure you give everyone space to voice an opinion. Try to keep the conversation as positive and solution-focused as possible. Employing a mediator or family counselor to facilitate might be a good option if you’re concerned old family issues could boil over and prevent a solid resolution. Shifting from the role of adult child to caregiver is going to be a difficult transition for both you and your parent. Don’t try to do too much too soon. Seniors who feel like they’re being “babied” are prone to depression or dangerous outbursts of independence, like grabbing the car keys or refusing to take medication. A better approach is to try to frame your caregiving as a way of being more involved in your parent’s current routine. Take a seat at dad’s weekly card game. Put the grandkids’ sports and performance events on the calendar and offer transportation. Bring an extra dish to a dinner party. Drive mom to the movies … and let a sibling know the house will be unoccupied for a few hours if there are any cleaning or hoarding issues that need attention. There may be other documents that are unique to your parent’s living or financial situation. We can help you make a comprehensive list. Start attending doctor’s appointments. Don’t be afraid to ask questions that will help you familiarize yourself with your parent’s medical condition and aid with any at-home care like prescription drugs. Also ask your parent to introduce you to his or her financial advisor and attorney. Make sure the relevant professionals have all important information about changes to your parent’s health, mental capacity, or living situation. Plan for the next steps. At some point, your aging parent may no longer be self-sufficient. The earlier that you and your close family members decide upon an action plan, the better. Do you or anyone in your family have the room, the time, and the means to take in your parent? How can non-caregiving siblings or other family members chip in on associated costs of living? 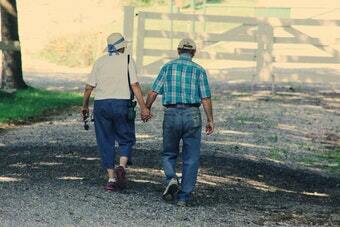 In many cases an assisted living facility is a more realistic option. But be aware that your parent’s Medicare plan probably will not cover those costs. If your parent does not have retirement funds earmarked for end-of-life care, you and your close family members may need to hold another meeting to discuss how to pay for a facility. None of these steps are easy, and none of the associated options your family settles on will be perfect. The sooner you loop us in on how caring for an aging parent might affect your financial picture, the sooner we can get to work on the money side so that you can concentrate on giving your family the love and support it needs during this difficult time.